After a quick turnaround from work and school, we headed along the Scotswood Road to get to the Newcastle Metro Arena. We saw loads of cars parked in the surrounding streets but we decided to play it safe and pay £6 for the arena parking which took us practically to the entrance. 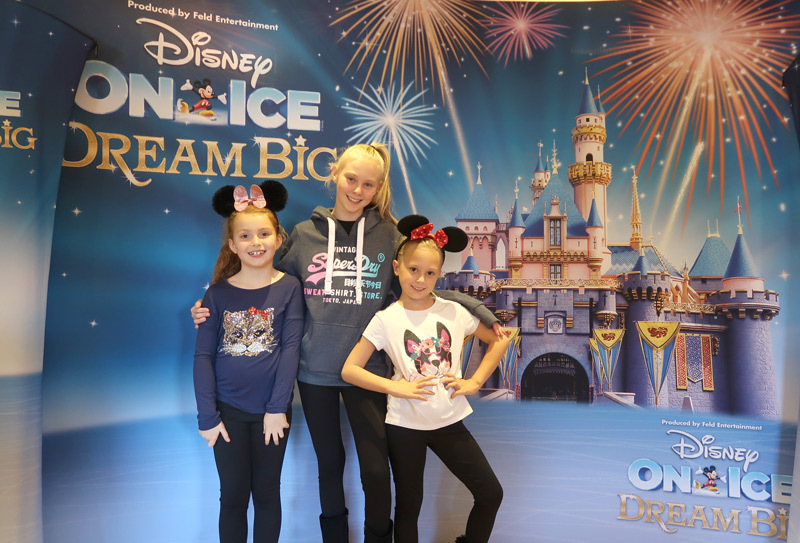 In true Disney On Ice tradition, Dream Big started with a little dancing warm up from some of the skating gang, who got us all to our feet. Imogen is too cool for that at nearly 11 but I saw a bit of smiling going on! Abigail and Millie were super excited for the show to start. 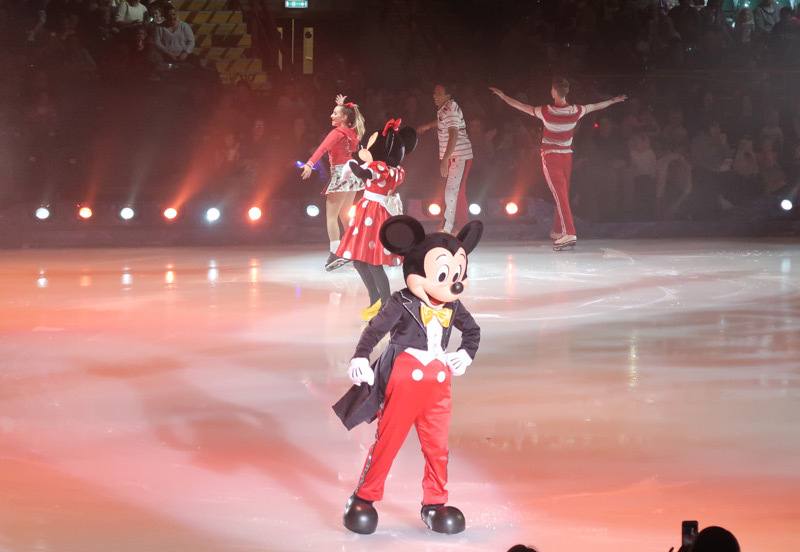 Mickey and Minnie joined in with their groovy moves. 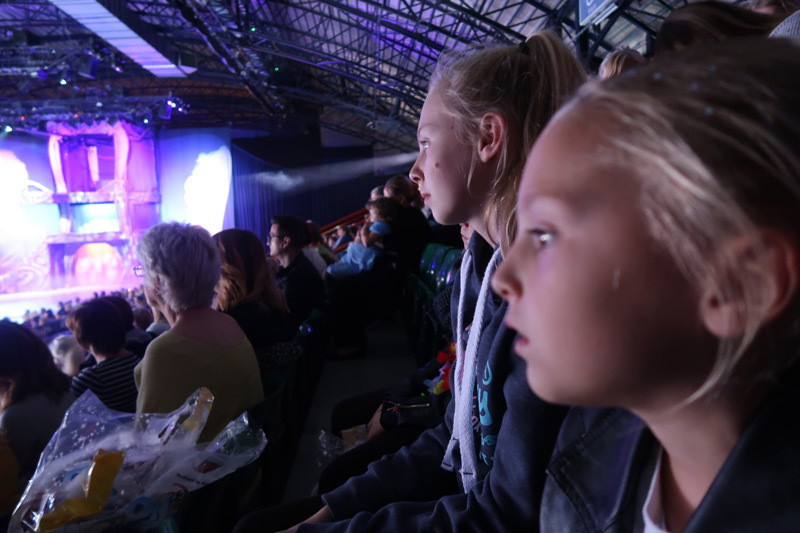 It was finally time for the show to begin and the arena was heaving! So many amazing costumes in the audience. The Newcastle kids sure know how to dress for the occasion. The theme of the night was Dream Big with a narrative provided by Mickey & Minnie on following your dreams. 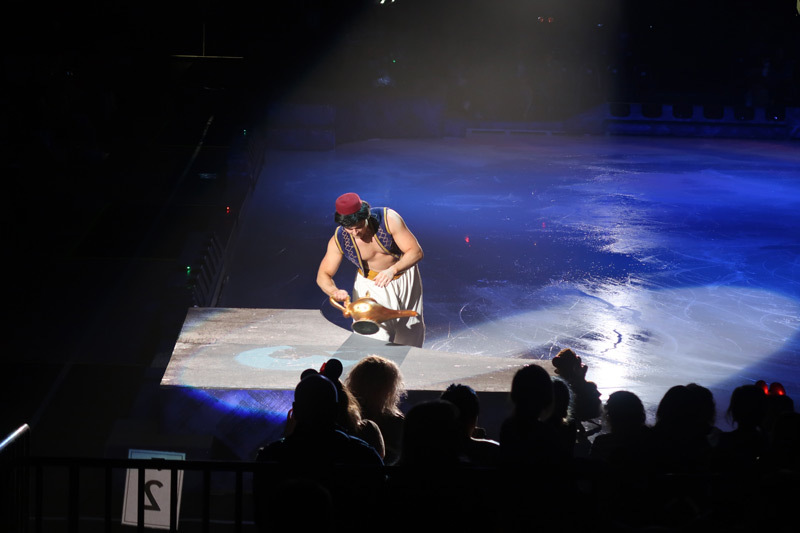 Aladdin started off the proceedings with a brilliant market scene, a very funny genie and a lovely slow dance with Jasmine to ‘A Whole New World’ The ice dancers are all amazing and I’m always impressed how the guys in the huge costumes (lumiere and Olaf spring to mind!) stay upright on their skates. 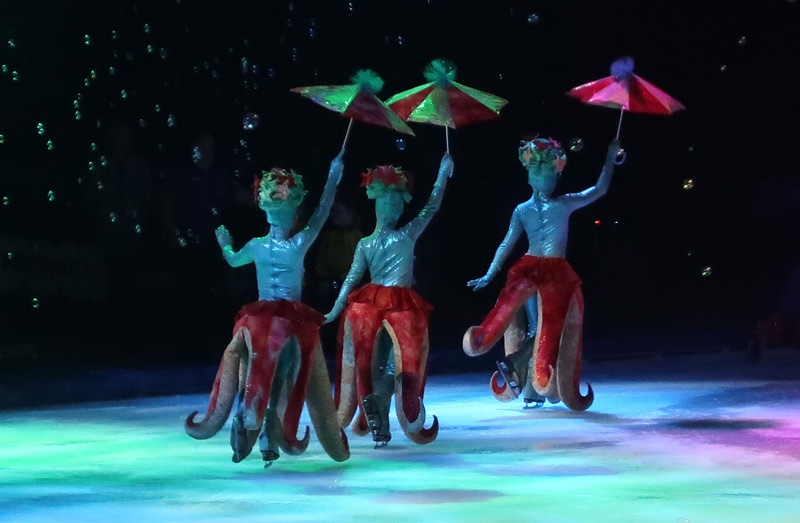 The show kept up a really quick pace with a great Little Mermaid scene (Kiss the girl), Beauty & the Beast (Be our guest) and Cinderella (A Dream is a wish) as some of the highlights. 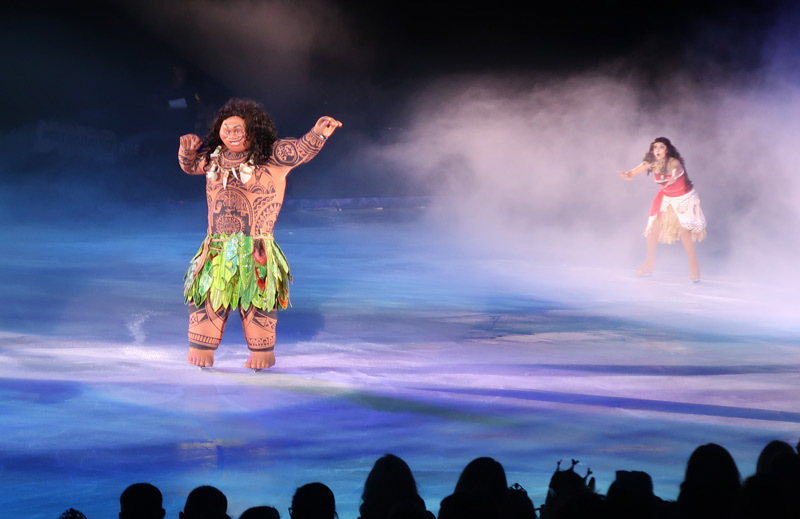 Moana was a great addition to the production with a great catchy song and the big burly Maui providing comic laughs. There were some fire effects on the island of Te Fiti, which kept us on our toes! Closing the night was a shortened version of the Frozen story with Olaf, Hans, Kristof and the sisters themselves. Not sure if the Frozen effect will ever die off! I still get that lump in my throat when the songs come on! Dream Big seemed to add lots of characters in one show. I previous shows’ we’ve seen are focused around 4 film tie-ins. Which within the first half we saw sections of more than 4 alone. Certainly enough to keep you moving along, and sing out a tune. 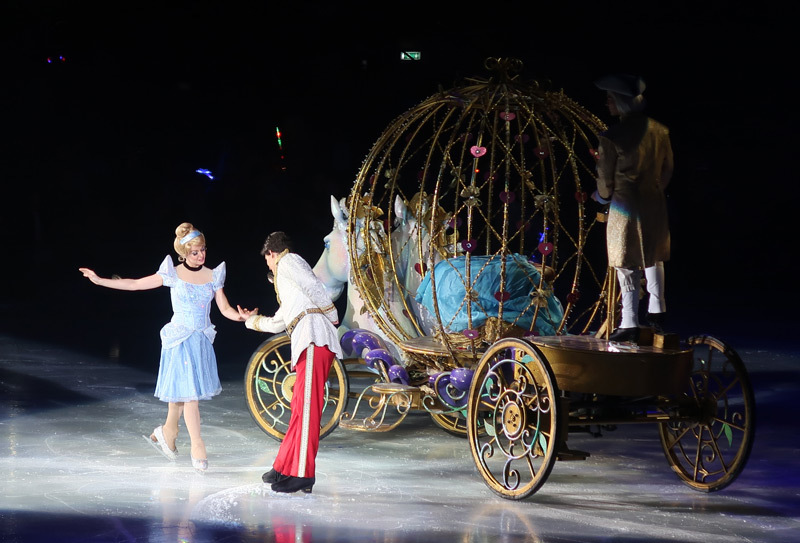 Disney On Ice presents Dream Big will play at Newcastle’s Metro Radio Arena from 2 – 7 October before continuing the UK tour and then travelling throughout Europe. Disclosure - Disney On Ice provided our guest bloggers Here Come the Hoopers with press tickets in return for this review. All words and thoughts are our own. We thought it was the best yet. Particularly the first half. I loved the Be our Guest Performance. I am so gutted to have missed it!